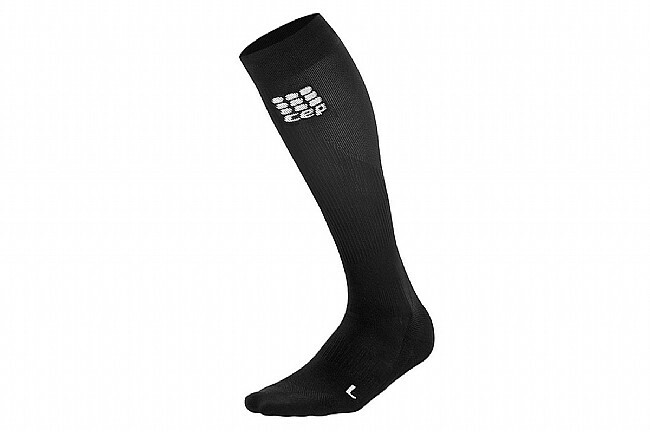 The Progressive+ Compression Run Socks 2.0 are the flagship product from CEP's line-up. When they entered the market, CEP revolutionized the world of running legwear, and this newest version carries in that tradition. 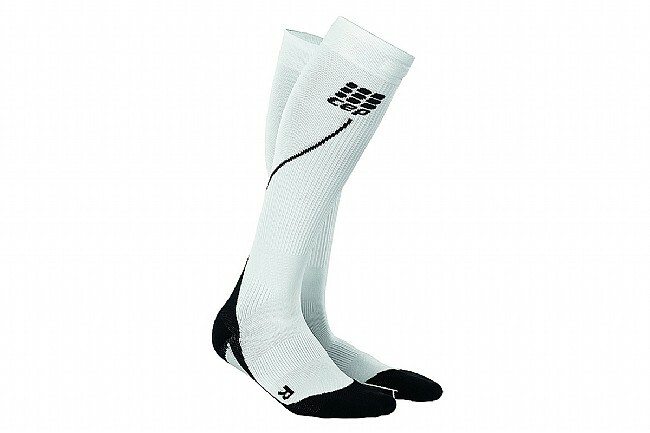 Equipped with metatarsal compression for excellent support and comfort, these socks also feature medi compression to reduce vibrations and increase coordination. The result is a knee-high running sock that stabilizes muscles and joints, increases blood flow, and fights off cramping or injury. The Progressive+ Compression Run Socks 2.0 is available in three sizes based off calf circumference: III (32-38cm), IV (39-44cm), or V (45-50cm). Maximum stability for muscles and joints to help prevent injuries and cramping. 20-30 mmHg compression from ankle to calf. 18 mmHg consistent compression over the calf. Open-pore mesh structure offers excellent ventilation. Padded zones relieve pressure where it's needed the most.